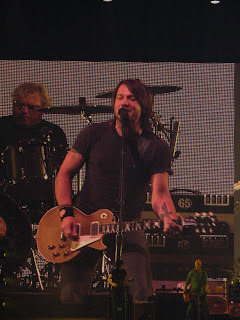 On Wednesday evening Barry and I had the opportunity to see Keith Urban again. It was actually the 4th time we have seen him. None the less, he just keeps getting better and better. I forgot my camera this time so way bummer because he came up into our isle of the section we were in. It was a fantastic evening!!!! He is someone I would like to see in concert. Hope you guys are all doing well! Woot woot! It WAS awesome! Good to see you from afar!